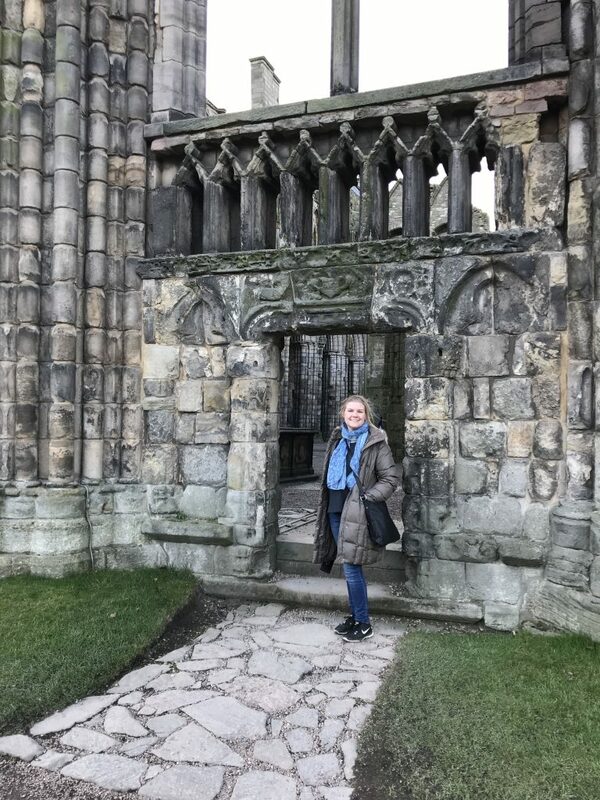 My friend Izzy from Wooster is studying abroad this semester as well, except he is at the University of Aberdeen, which is north of me. He texted me awhile ago asking if I would be free the weekend of January 26 (a month ago, already?!) as some of his friends were coming down to Edinburgh for a night. So Izzy came to visit! I met him at the train station on Saturday morning and the first thing we did was to find a lunch place and catch up a little. then we walked a bit on the Royal Mile before we decided to go to Edinburgh Castle, which I had not yet visited. 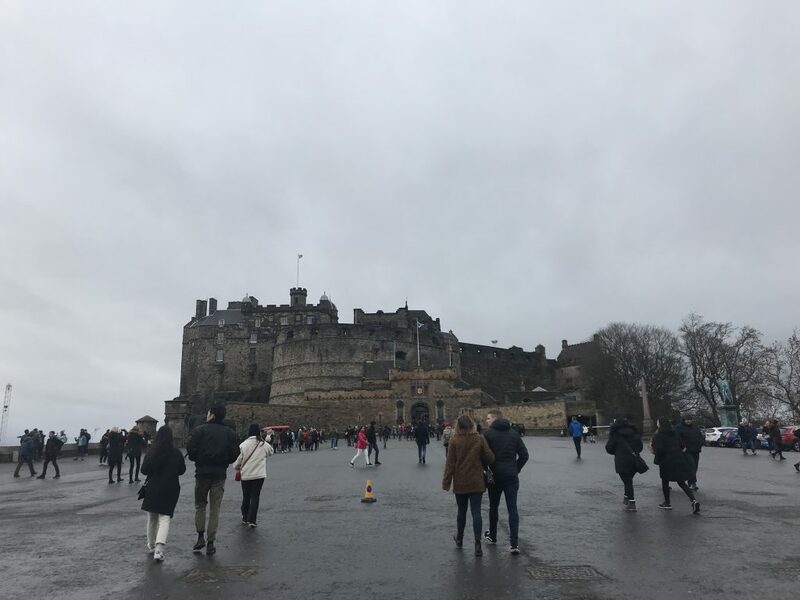 The castle is the highest point of buildings in the city and even before we stepped foot inside we were treated to a gorgeous view of the surroundings of Edinburgh and the uninhibited sight of the castle. I know I keep talking about all of these gorgeous buildings, but everything is quite striking and I just can’t get over it and I doubt I will be able to. I get excited about pretty houses that don’t look like suburban Aurora. Well we obviously had to go inside of the castle. Of course we were treated to a lovely buffet of wind and rain, but that did not diminish our moods. Castle Rock has been inhabited since at least 600 B.C.E. which is wild to think about but of course the castle that stands today is not that old. 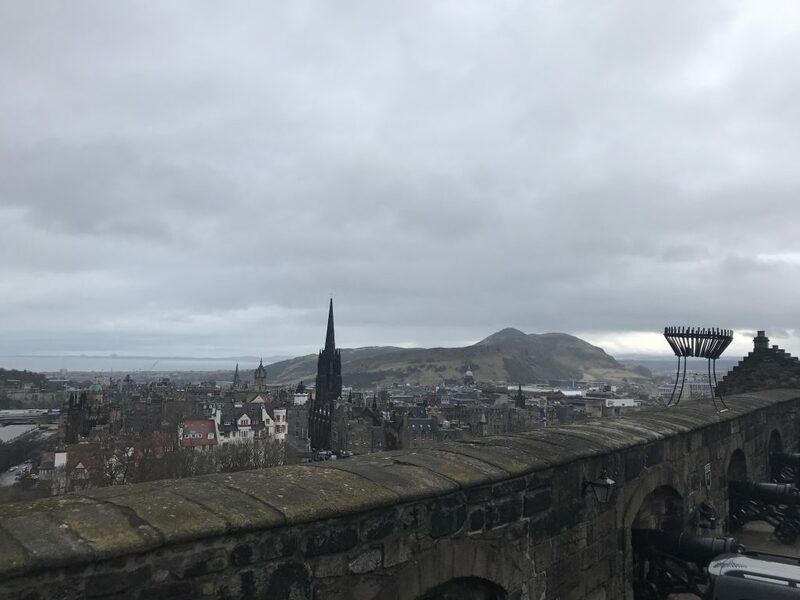 As I was told in my History of Edinburgh class, the archeologists really want to dig into the rock, but the castle is in the way so they can’t have full access. It has buildings that range from the 12th Century to the 16th Century with different renovations as different eras come along. 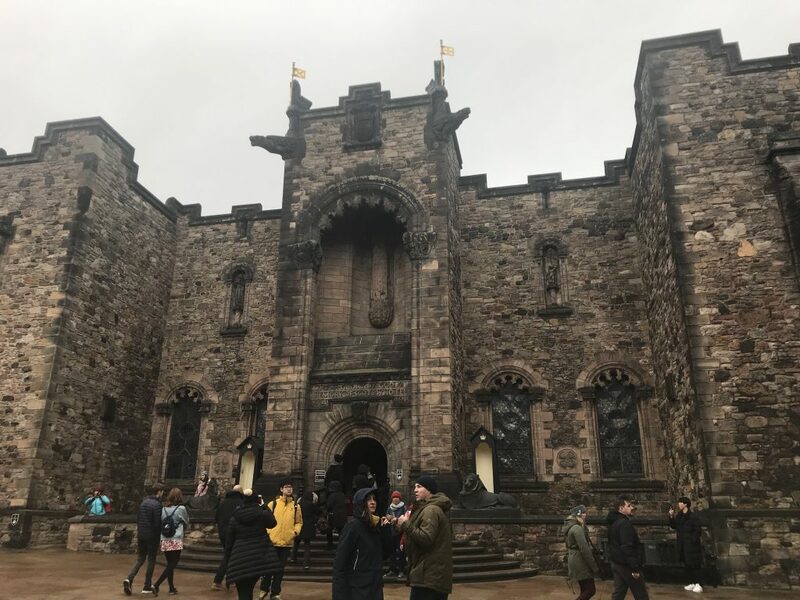 It was incredible to see because while the buildings may not be completely the same as they were in the times of their building, this is the same location that Malcom III and David I and Macbeth of Shakespeare fame frequented, and Robert the Bruce, and many many more important kings and historical figures. We were able to see the Scottish Regalia and the Scottish Crown Jewels. 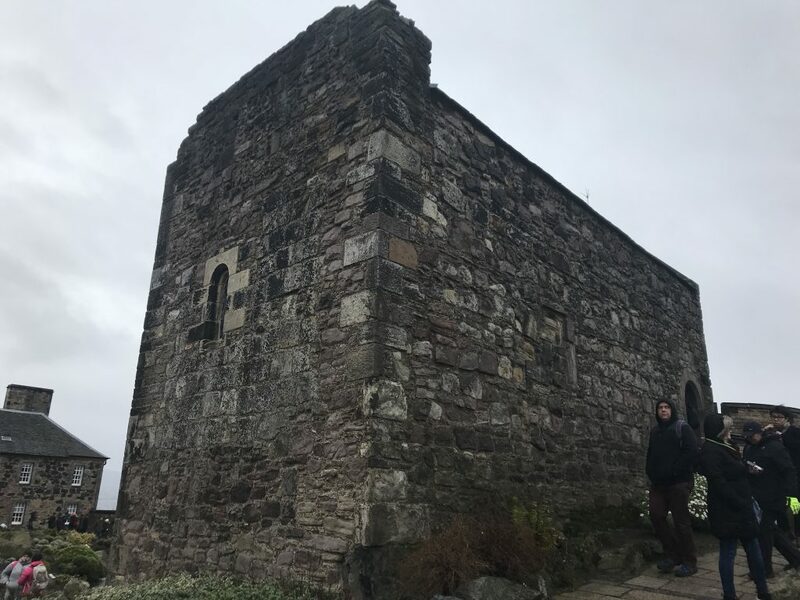 We saw the oldest standing building in Edinburgh—St. Margaret’s Chapel—which was built in the 12th Century by David I. After seeing the Crown Jewels, we went on a free tour around the castle which was entertaining, mostly because the tour guide told us about all of the stupid things he had been asked (namely, “Is that land over there America?”). After a few hours, both Izzy and I were ready to quit, and the cold and the rain wasn’t helping anything. Izzy and I decided to walk to my flat and make some tea, after which we would find Izzy’s friends at his hostel to meet for dinner. That’s when we discovered just how far away my flat was from the hostel, and how hard it is to make plans with people when you aren’t with them in person and ideas are changing every five seconds. An Uber easily solved the distance problem, but when we arrived at the hostel, we discovered that Izzy’s friends were already eating, so we asked the guy at the hostel for a good dinner place and then walked ten minutes to my favorite put I’ve been to yet. I was kind of turned around location-wise, but it looked to me like we were in a more modern and urban part of the city and the pub was full of people but not overly crowded. I really enjoyed the vibe and it felt like the place that people would go to after work that wasn’t annoyingly touristy. After a meal and great conversation and eventually being joined by Izzy’s friends, we called it a day and I headed back to my flat. 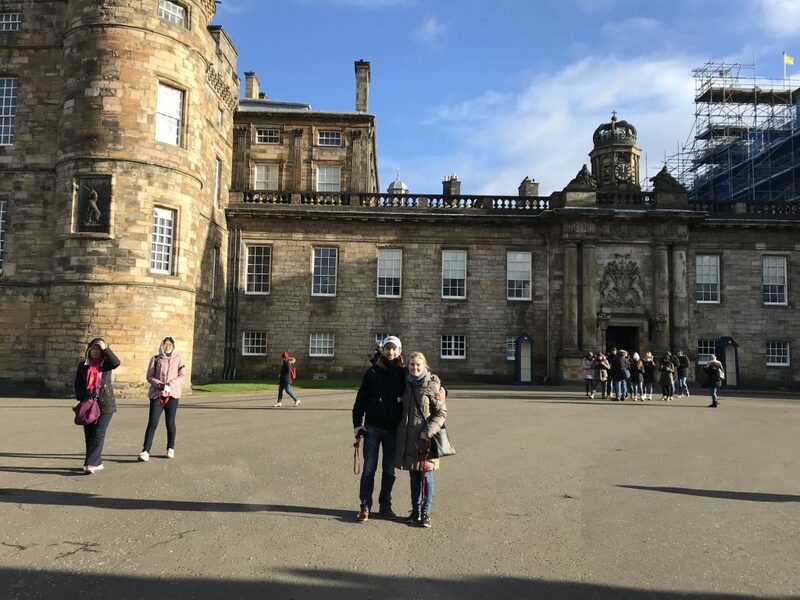 The next morning I met Izzy and his friends for breakfast, and then as a group we decided to go to Holyrood Palace. We all walked along Princes Street and enjoyed the views before crossing over to the end of the Royal Mile and to the Scottish Parliament with Holyrood right next door. 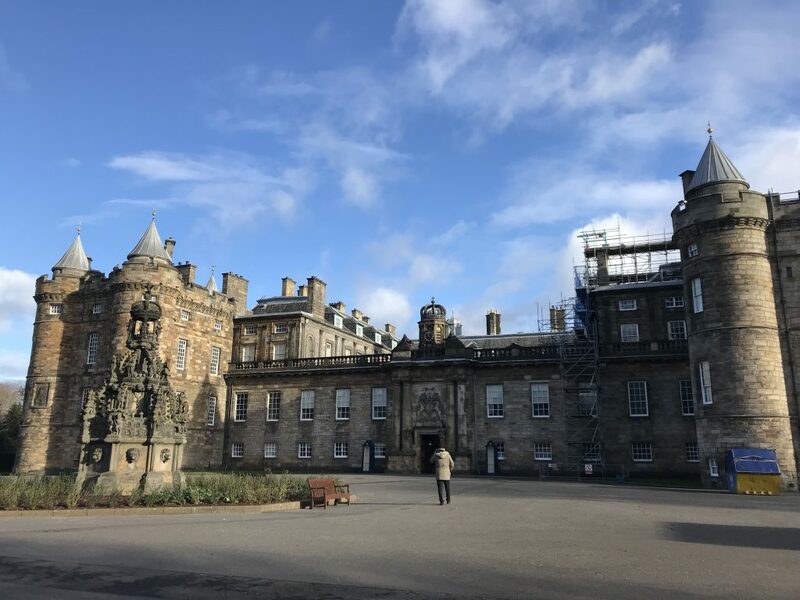 Among other things, Holyrood is home to the ruins of an abbey that was originally founded in 1128, one of the current Scottish homes of the Royal family (when they’re in residence the palace is closed to visitors), former residence of Mary Queen of Scots, and the place where Mary Queen of Scots’ secretary and likely lover was stabbed to death. 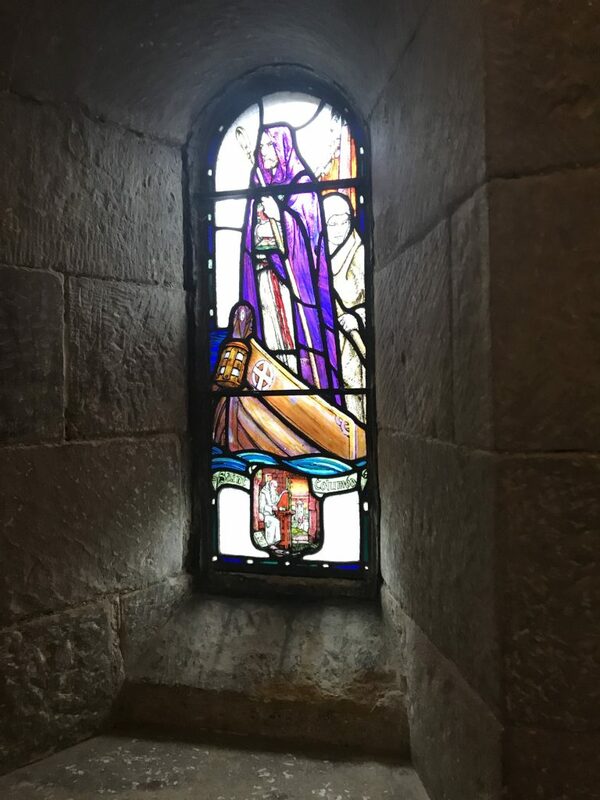 It also houses some fantastic artwork, including an entire hall only of portraits of kings and queens (including a portrait of Mary Queen of Scots with the faint outline of a footprint thanks to the Jacobites). We were given audio guides to lead us through the palace. 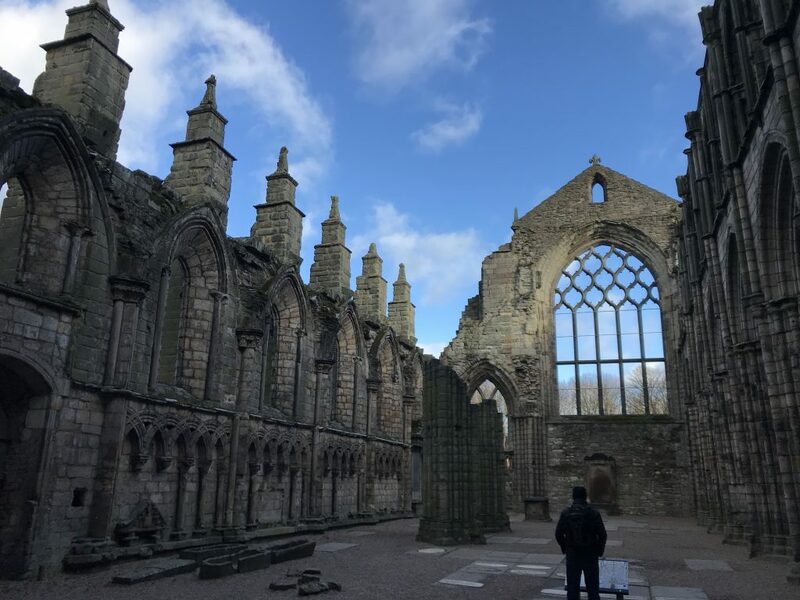 After looking around the palace, we wandered around the ruins of Holyrood Abbey, which was amazing. 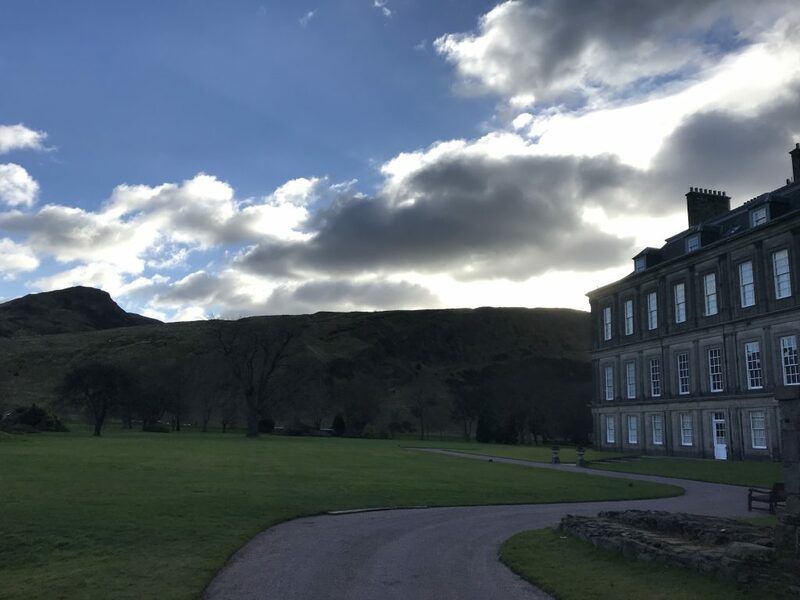 One one side, you are standing among the ruins of a beautiful stone building and in the distance you can see a landscape of grass and hills meeting the Salisbury Crags and Arthur’s Seat. It was probably the most Scottish view I’ve seen since being here. 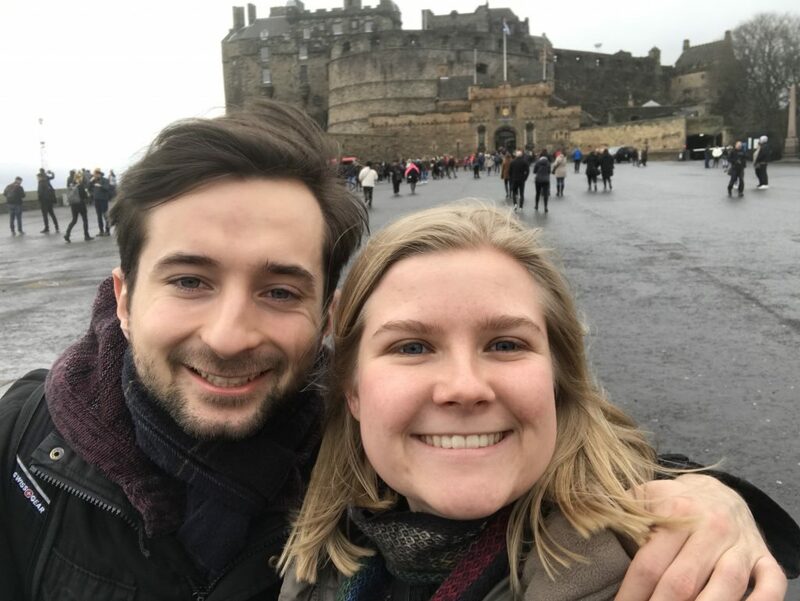 From there, Izzy and I got lunch, after which we headed back up the Royal Mile where we parted ways—Izzy to Waverley Station and me back to my flat.